The parking lot of the Dummerston School was packed to capacity. On both sides of School House Road, salt-encrusted Subarus and Priuses were lined up nose to tail with dirt-caked pickups and minivans. It was Town Meeting Day in Vermont. And, while the Yankee tradition might be fading in certain corners of the state, it appeared to be big doings in this rural town of about 2,000 just outside Brattleboro. Inside the school gymnasium, practically every seat was occupied by Dummerstonians doing their annual civic duty, which at the moment involved discussing whether or not to repaint the town offices — and, crucially, what color. Tom Bodett was among the overflow taking in the action from the sidelines. Clad in Carhartt work jeans, a fleece vest and a fedora, he leaned against the brick wall just steps from the painted boundary of the basketball court. Bodett listened intently as Zeke Goodband, an orchardist whose long, gray beard evoked Rip Van Winkle, addressed the crowd from a table at the front of the gym. Goodband, the vice chair of the town selectboard, recalled the last time the offices were painted: A crew of inmates from a nearby prison handled the job. "And we vowed never to do that again," quipped Goodband, eliciting knowing laughter from the good citizens of Dummerston, Bodett included. "That's a true story," Bodett turned to tell a reporter, chuckling. Bodett, who himself served for several years on the Dummerston Selectboard, didn't elaborate on the prisoners' chicanery. But if he had, one imagines it might have been the kind of homey and humorous yarn he spins in his books or his commentaries for NPR, or at one of the live storytelling events, including "The Moth Radio Hour," where he's known to appear. Bodett, 64, is a humorist, author and voice actor whose many credits include the cartoon "Animaniacs," "National Geographic Explorer," a Ken Burns documentary and a fake commercial on "Saturday Night Live." Since 2005, he's been a regular panelist on the NPR news quiz show "Wait Wait... Don't Tell Me!" He may be best known as the spokesperson of the long-running radio ad campaign for Motel 6: "I'm Tom Bodett for Motel 6, and we'll leave the light on for you." But in Dummerston, most people just know him as Tom, a good neighbor and friend who, as schmaltzy as it sounds, genuinely and actively cares about his community. "He's a good man, and that's how he was on the selectboard," said Goodband in a later interview. The start of Goodband's tenure there overlapped for a few years with the end of Bodett's. "On many occasions he went out of his way to help people who needed it, sometimes personally," Goodband continued. "He went above and beyond, because that's just who he is." As Bodett left the town meeting, after a key vote on a gravel pit, he chatted with an activist about a nearby nature preserve and offered to write a letter of support. He stopped to schmooze an elderly woman running a raffle and bought several tickets. In the parking lot, he riffed on the foibles of rural governance with a couple on their way into the meeting. A mud-spattered diesel pickup rumbled up bearing Bodett's neighbor Dwight Miller, who needed advice on geothermal heat pumps for his farm, Dwight Miller and Son Orchards. Bodett obliged, happily outlining pros and cons based on his own experience at his East Dummerston home. "He should really run for governor," Goodband said of Bodett. Bodett has no plans to run for the state's top office. 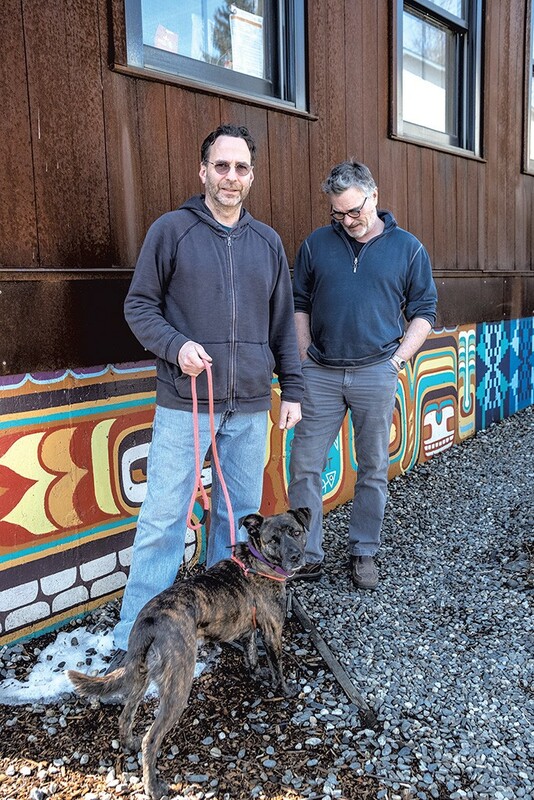 He'd like to rejoin the selectboard someday, he said, but for now he's consumed with a new project, one that combines his love of community and his true passion. No, not writing, joking about the news or voicing funny ads for chain motels. Bodett's real muse is fine woodworking — a trade he first took up 27 years ago, when he got sober. 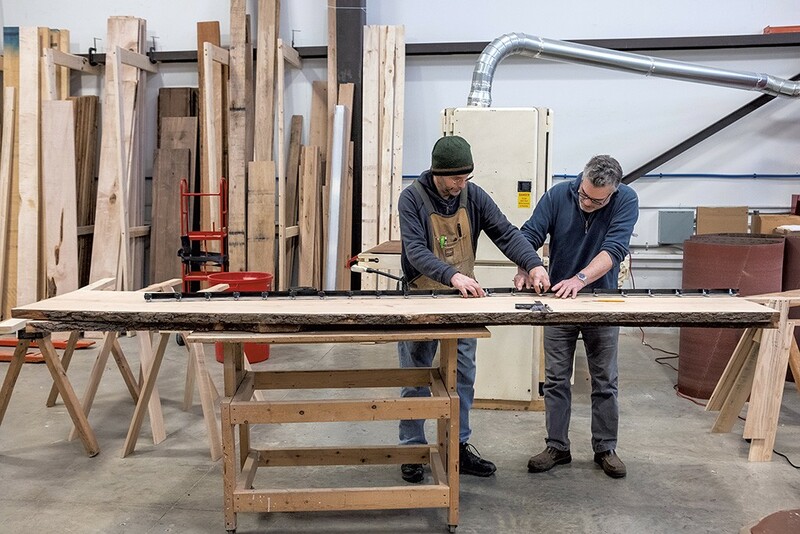 Last month, Bodett and carpenter Greg Goodman opened HatchSpace, a nonprofit woodworking maker space in a warehouse in downtown Brattleboro. Equal parts school, studio and gallery, it serves as a community resource for newbies and master woodworkers alike. Members have the opportunity to share tools, including expensive industrial equipment that the average hobbyist is unlikely to have in their own shop — for instance, a 22-inch planer and a massive, 44-inch belt sander. More importantly, members share knowledge, making themselves available to other members who need guidance or assistance. "The idea is to have a place where people can share ideas and work together," said Bodett. "And to have access to some pretty cool tools." 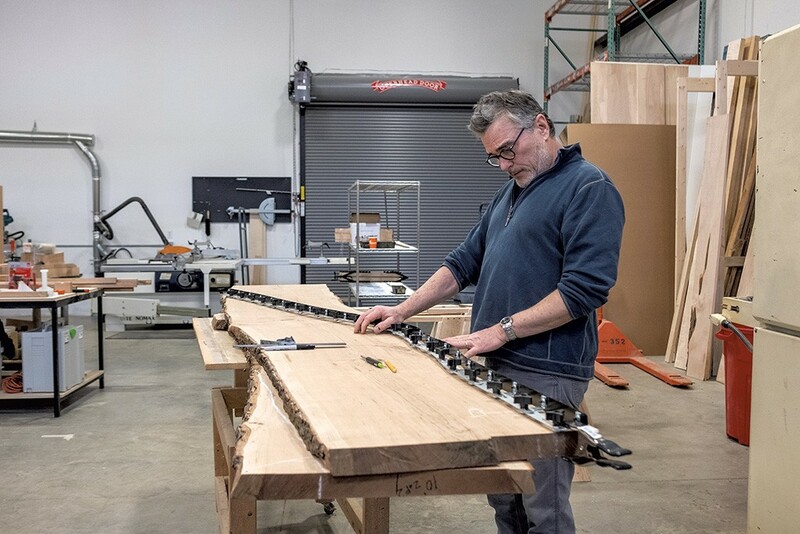 Though it might seem to pair oddly with Bodett's higher-profile pursuits, the woodworking shop aligns with his desire to strengthen his community. And, at least in southern Vermont, HatchSpace may one day become Bodett's lasting legacy. Bodett's own impressive woodworking shop is housed on the first floor of the barn attached to his home. 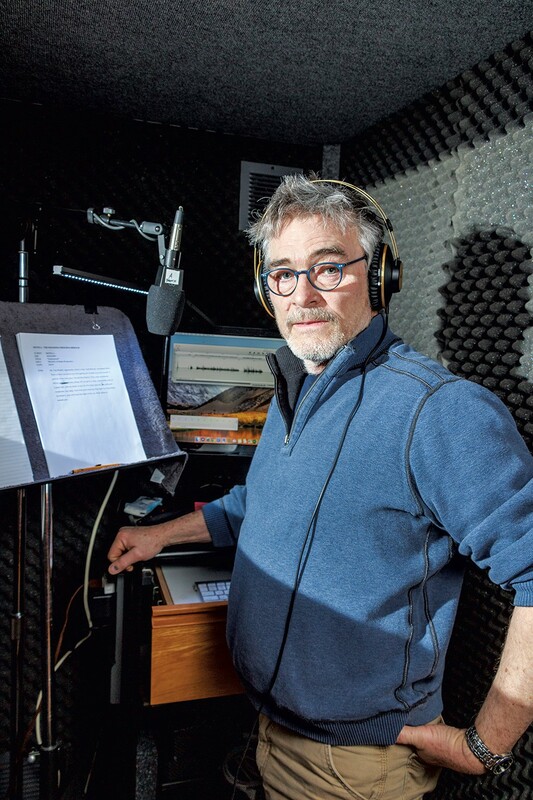 In the office that occupies the barn's entire second floor, a large bookcase wraps around the recording booth where he does most of his voice work. High up on one of the shelves is a large, ornately bound Holy Bible. Beside it is a copy of Rick Meyerowitz's Drunk Stoned Brilliant Dead: The Writers and Artists Who Made the National Lampoon Insanely Great, a history of the humor magazine. "You could probably read into that if you wanted to," said Bodett of the unlikely literary pairing. Born in Illinois, Bodett discovered National Lampoon in the heyday of its hipness, during his youth in Sturgis, Mich. "When I first read National Lampoon, it was like some light bulb went off about what satire and humor could be," he said. "I never looked at Mad Magazine again." The mag may have been as corrupting an influence as it was a lasting one. After high school, Bodett attended Michigan State University for three semesters and, he said, hated every minute of it. "I couldn't get out of the Midwest fast enough," he said. "So I hitchhiked out west and never came back." Bodett landed in Oregon, where he worked for a year as a builder. An accident involving a power line nearly killed him and left his arm severely burned. It also provided fodder for one of his better stories, "Inside Passage," which he shared on "The Moth Radio Hour." "It should have killed me," Bodett said of the accident. "For six months every doctor I saw said I was lucky to be alive. So I started feeling lucky to be alive." Bodett fled to Alaska seeking adventure. And he found it. "There was loggin' and fishin' and drinkin' and fightin'," he said with a smile. "It was really great." Eventually, Bodett married and had a son with Debi Hochstetler. For 23 years he enjoyed an idyllic life in the wilds of Homer, Alaska, spending his days building houses and fishing. Along the way, he started doing commentaries for the local public radio station, which quickly found their way to NPR and became a staple of the show "All Things Considered." In October 1986, a Boston-based publisher released a collection of Bodett's commentaries, As Far As You Can Go Without a Passport: The View From the End of the Road. That led to a follow-up collection, Small Comforts: More Comments and Comic Pieces, in 1987. Bodett's growing national profile drew the attention of a Dallas ad agency seeking a spokesperson for a new client, Motel 6. Bodett was reluctant — until he was told how much it paid. "I thought I would do it once, for the money," said Bodett of the Motel 6 ads that would, mostly for the better, become his calling card. "People get the Motel 6 ads wrong," says Bodett, when asked if he ever feels pigeonholed in his folksy radio persona as a result of the motel campaign. "They're fun, and creative," he says, "and we have a lot of fun making them." They also pay the bills. A few months after he recorded his first spots, he received a note from the post office asking him to retrieve a significant amount of mail. He discovered several stacks of envelopes banded together, containing royalty checks for various amounts from all over the country. His Motel 6 ads had gone national. Bodett declined to reveal exactly how much money was in the envelopes. Suffice it to say, it was a life-changing sum. Three decades later, he still hasn't turned the lights out on those charmingly folksy ads. "My neighbor Dwight likes to tease me that I don't work," said Bodett, referring to Dwight Miller. "And, of course, he's right." Of course, Miller is not right — at least not entirely. Bodett's voluminous body of work speaks to his ability to stay busy. In addition to opening HatchSpace and focusing on his own woodworking projects, he still writes regularly, and he's taken to live storytelling in particular. He's begun presenting events, such as "Storytellers on a Mission," which is this Saturday, March 30, at the Latchis Theatre in Brattleboro. The show is presented by the Hatch, a nonprofit live events production group that Bodett cofounded with his wife, Rita Ramirez, and others. (He and Hochstetler divorced in 1992.) Hosted by comedian Jordan Carlos, the evening features storytellers and comedians Jodi Lennon, Jon Glaser, Tara Clancy and Adam Burke, the last two of whom are also "Wait Wait... Don't Tell Me!" panelists. Which brings us to Bodett's most visible — or, rather, audible — endeavor. "It's like skydiving," Bodett said of the news quiz show. While host Peter Sagal gets a script, panelists work unscripted — and, to extend Bodett's skydiving analogy, hope their parachutes open. "It's fun, it's scary and it's really hard to do," said Bodett. Bodett said he used to over-prepare for the show, devouring news to help him answer the questions correctly. But he learned quickly from watching veteran panelists like P.J. O'Rourke and Roy Blount Jr. that being right is often the wrong move. "It's not whether you're right or not, it's how funny you are," said Bodett. "The real selfless act is knowing the right answer and saying the funny thing instead. It's more fun if you start guessing and make something up." He also avoids preparing jokes ahead of time, a lesson he's learned the hard way. "Nothing I've ever thought up in advance has ever worked, at all," Bodett said. He added that the show's most brilliant moments, as in most improv comedy, typically happen when the comedians work together. For example, on the March 2 episode, Bodett and panelists Paula Poundstone and Faith Salie turned a question about parenting into an extended, hilarious and completely improvised riff involving a fictional board game Poundstone dubbed "Bad Parenting." "I wrote to everyone afterwards and said it was the most fun I'd ever had," said Poundstone, a panelist of 17 years. She echoed Bodett's sentiment that selflessness is a key to hilarity on the show. "I don't even remember who said what," she said. "And it doesn't matter, because it's really a team sport." However, that kind of collaboration doesn't keep panelists from taking the game aspect of the show seriously. "I'm very serious about winning," Poundstone insisted. "People just don't realize that because I lose so often." The same March 2 episode featured a question about senior citizens in Texas who were pinching pennies by living out their days in budget hotels rather than retirement homes. That inspired a few jokes about Motel 6 — or as Sagal put it, "Motel Six Feet Under." To which Salie, beating Bodett to the punch line, quipped, "We'll turn the light out for you." Poundstone considers Bodett a good friend and described him as kind, generous and "one of my favorite people." Some years ago, she recalled, she came to Vermont for a standup gig and stayed with Bodett. After the show, still on West Coast time, she and her son returned to the house and watched a movie in a guest room after everyone else had gone to sleep. When the movie ended, it was time for bed. "But we couldn't find the switch to turn the lights off," said Poundstone. "So we left the lights on at Tom Bodett's house." Bodett lives on a long and winding dirt road in East Dummerston. To get to his house, you pass Dwight Miller's orchard, where you might encounter a stray pig crossing the road. Bodett landed in Vermont in 2003 as an indirect consequence of marrying Ramirez in 1997. He never wanted to leave Alaska, he said. But Ramirez, a New York City native with whom he has a son, wanted to be closer to family. Southern Vermont proved to be a good compromise. "Somehow, Vermont is halfway between New York City and Alaska," Bodett said. If you peer across Bodett's wide, rolling pastures, you can almost make out Will Ackerman's house. The Grammy-winning guitarist and founder of the new-age music label Windham Hill Records is a good friend of Bodett's. Their acquaintance dates back to Ackerman's post-Windham Hill spoken word label, Gang of Seven, for which Bodett recorded an album called Exploded in 1992. Ackerman played a key role in luring Bodett to Vermont. Among their shared interests is woodworking. Like Bodett, Ackerman worked as a carpenter on the West Coast prior to starting his artistic career. He built his own Dummerston home and recording studio, Imaginary Road, by felling and milling the lumber on his property. When Bodett moved to Vermont, Ackerman's housewarming gift was a pile of red oak beams from his own land. Ackerman also organized a building party to construct Bodett's barn. Bodett said the scene was reminiscent of an Amish barn raising. "All these people just showed up," he recalled with awe, "and the next thing you know, the thing was built." "He's a polymath," Ackerman said of Bodett. "And he's one of the most kind, generous people I've ever known in my life." Ackerman added that he appreciates and finds kinship in Bodett's myriad interests and skills. "I like to mix up life," he said. "I'd go crazy if I had to only produce music all the time. So to be able to pick up a 32-ounce waffle-head hammer and slug 16-penny nails into wood is a wonderful thing. "I like to say that I'm in a 12-step program for building addiction," joked Ackerman — who, like Bodett, is a recovering alcoholic. Bodett said that woodworking, which he's been pursuing for nearly three decades, has helped him stay sober since 1992 — the same year he divorced Hochstetler. He made the connection at the end of a full day largely spent recounting his life. Though it surely wasn't the first time he'd considered it, the revelation came on like an afterthought, as if those dark Alaska nights were a lifetime ago. In a way, perhaps, they were. "I've now not used alcohol far longer than I ever used it, and that guy I used to be seems almost a stranger to me," he said. "I attribute my success with and love of woodworking to my sobriety, and my long sobriety to woodworking," he continued. "It is common wisdom that an addicted personality cannot just quit their drug of choice. It has to be replaced with something else. Something healthy. I replaced mine with a woodshop," he said. "Now, with HatchSpace, there's a woodshop anyone can come and use," said Bodett. "I hope others will find what I have in there." Bodett tends to turn philosophical when discussing woodworking. Touring the 19,000-square-foot HatchSpace, which shares a building with Mocha Joe's Roasting on Frost Street, just outside downtown Brattleboro, he geeked out over the organization's collection of tools and machinery. He also pontificated on the more ephemeral benefits of his craft. "Nothing feels better than making something," Bodett said. "Making things with your hands is good for you. It's part of who we are as humans." Bodett likened the craft of woodworking to that of storytelling. "It's the same thing at the Moth," he said. "When you're telling a story, there's something organic that happens that gets at our most primal needs. It's in our DNA. It's how we used to communicate everything. It's all in the story. "Making things with our hands is just as fundamental to human beings," he continued. Bodett then cited Richard Sennett's 2008 book The Craftsman, which explores the links between making and thinking. "He uses the term 'homo faber,' which is 'man is maker,'" explained Bodett. "The premise is that what sets us apart from other beasts is that we make things. And that actually came first: Making things forced us to develop language because we needed a way to teach." Education is a primary goal of HatchSpace, which was in the works for two and half years before opening last month. That emphasis is a response to the increasing disappearance of shop classes from public schools. While Bodett and project partner Goodman sourced some pieces of equipment from auctions and others from local makers downsizing a home shop, many tools came from area schools that had closed their shop programs. "It's sad that we have their tools, but we're glad to have them, because we want to offer programs for young people to come in and learn woodworking," said Bodett. For advice on teaching their craft, Bodett and Goodman turned to HatchSpace advisory board member Dyllan Nguyen of the Eliot School in Boston, one of the oldest arts-and-crafts schools in the country. (Fun fact: Paul Revere once sat on its board of directors.) One of the most successful programs at the Eliot School is a skateboard-building class in which kids craft their own decks from scratch. Bodett and Goodman are currently seeking grants to provide a similar class at HatchSpace. "We've got the Boys & Girls Club right up the street, and there's a skateboard park there," Bodett said of Brattleboro. "It's perfect." Beyond teaching kids to make skateboards, HatchSpace plans to offer a variety of programs for skill levels ranging from newbie to expert — most of the current offerings are introductory classes. Members, of whom there are about 50, pay $180 in quarterly dues — financial assistance is available — for access to the shop and its tools, as well as the expertise of any other makers who happen to be around. To undertake commercial fabrication, though, Bodett said, woodworkers will need to go elsewhere. "We can't have people using this as a production facility," explained Goodman, a master furniture maker and owner of Goodman Cabinetmakers. "The point is really to build a community among woodworkers, and we have an awful lot of them here." "Brattleboro has an amazing collection of creative and talented craftspeople," agreed HatchSpace advisory board member Doug Cox. A renowned violin maker, he'll lead a tool-sharpening seminar in April. "This space promises to provide a place and opportunities for connections to be made and relationships to be built," he said. "Good craftsmanship does not grow in isolation, and the HatchSpace can help make something special of our local talent." Bodett has forged a career and a life from making things special for those around him, whether he's being funny on the radio, serving the public or, now, building HatchSpace. "It's not that he's seeking any kind of notoriety," said Ackerman, "and the notoriety he has is much less 'the famous Tom Bodett' than it is this really great guy who is contributing to the community." Bodett's friend added: "He's capable of wonderful art, but he's also built a very tangible world." The original print version of this article was headlined "Wait, Wait —There's More to Tom Bodett "